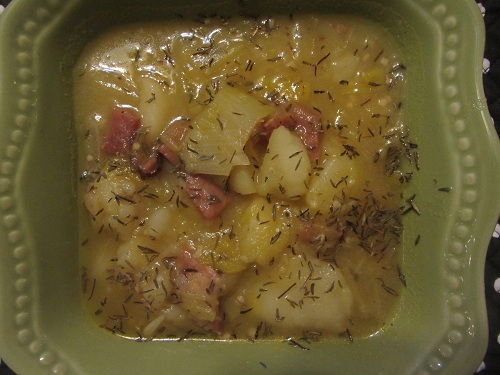 This recipe for Potato Leek Soup was contributed by my friend Leah, who makes it frequently and raves about it. 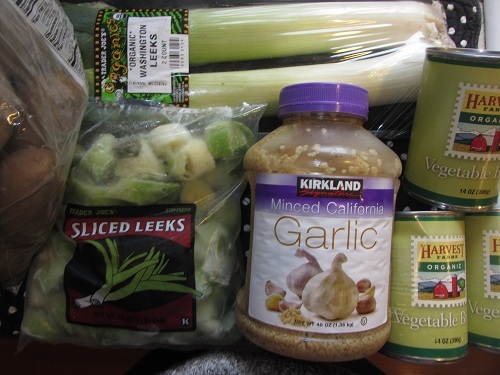 She makes it with fresh leeks, which I find are extremely pricey in my area. 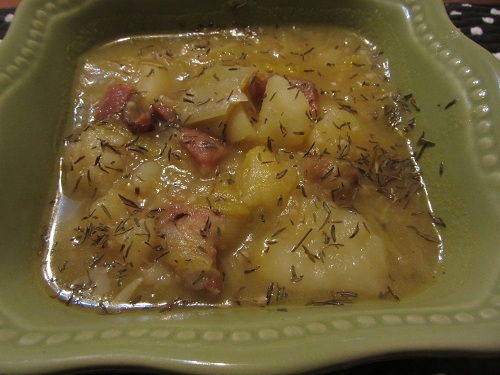 I have adapted it and made it with frozen leeks and added a bit of ham for seasoning! I also reduced the calories by reducing the oil from 6 T to 2 Tablespoons. I added 1/2 cup of broth to the oil to cook the leeks and it worked great! 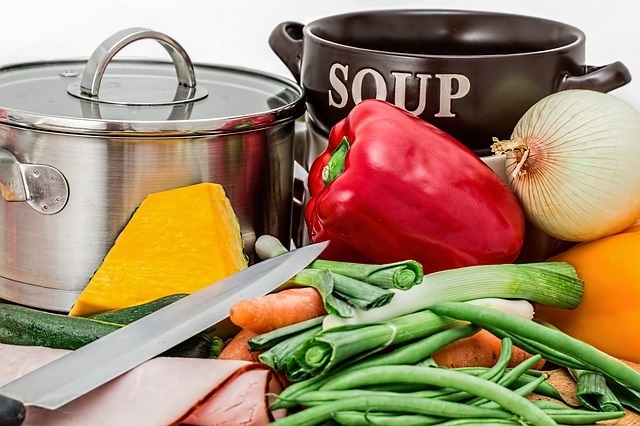 Healthy recipes for soup warm you up on the chilly fall evenings! Wash and chop the fresh leeks. Discard the leafy part and cut the trimmed leek in half lengthwise and cut the leeks crosswise into 1/2 inch pieces or just use frozen ones! 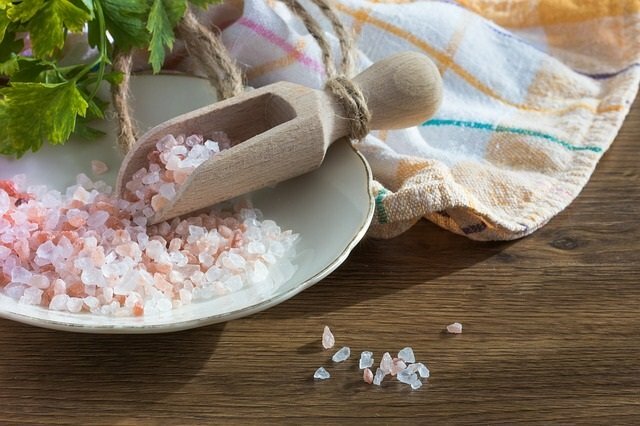 Peel the garlic and press the garlic with a garlic press or use prepared fresh garlic. After washing the potatoes cut them into half inch pieces. Put two tablespoons of oil and 1/2 cup of the broth in a pot over medium low heat. Stir in the leeks and garlic and ham. Cover and cook until the leeks are tender. Fifteen to twenty minutes. 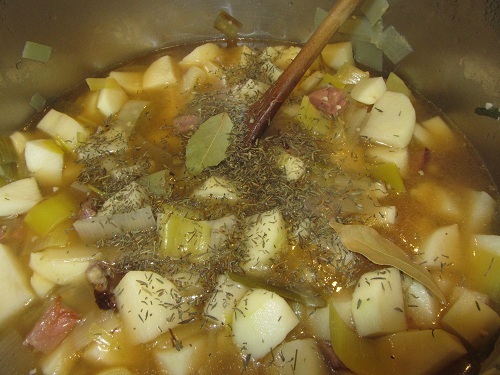 Stir in six cups broth, the potatoes, 1 teaspoon thyme, two bay leaves, and 1 teaspoon salt. Bring to a simmer and cook until the potatoes are tender, about fifteen minutes. Smash some of the potatoes against the side of the pot to thicken the soup. Discard the bay leaves and allow people to season with salt and pepper as they choose. 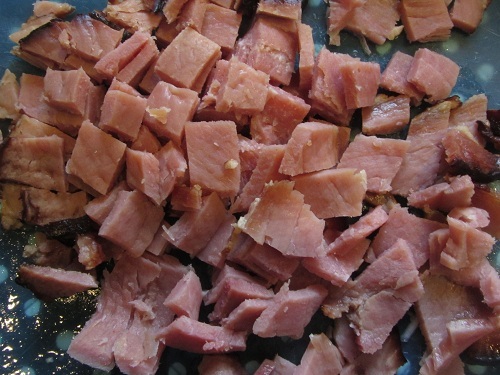 *I added 1/2 pound of chopped ham to the recipe and cooked it with the leeks. You could use Canadian bacon or bacon! 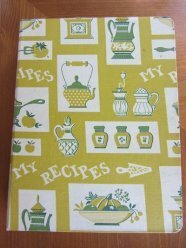 Many recipes that you love are caloric. 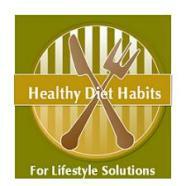 Do not be afraid to reduce the calories, which is always a healthy diet habit. 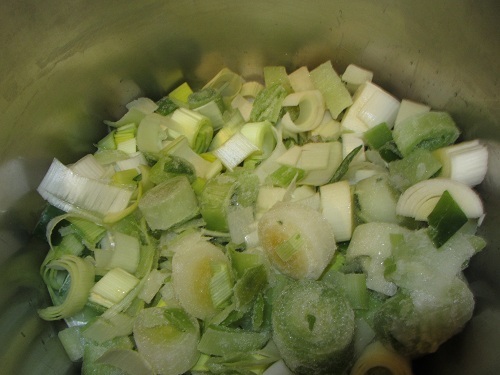 This reduced calorie soup was delicious and very simple using frozen leeks! My family all raved! Thanks Leah!